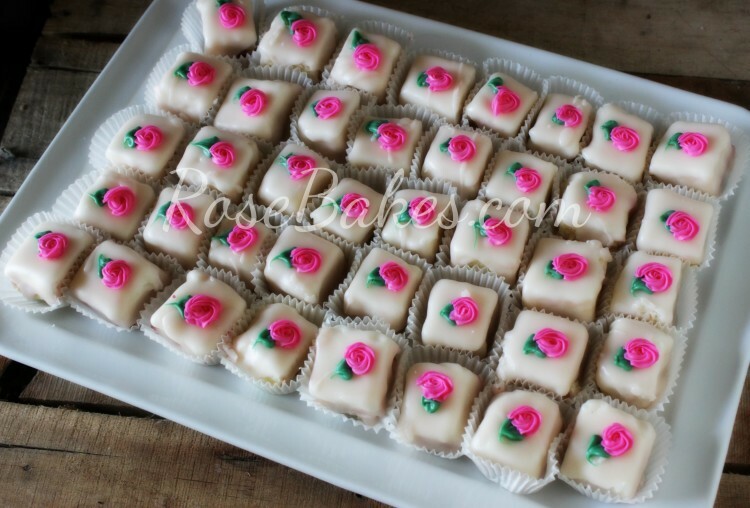 Beautiful Petit Fours that are quick and easy to make for any occasion. Today (finally), I’m going to share How to Make Perfect Petit Fours. The first couple of times I made petit fours, they were a serious headache for me. 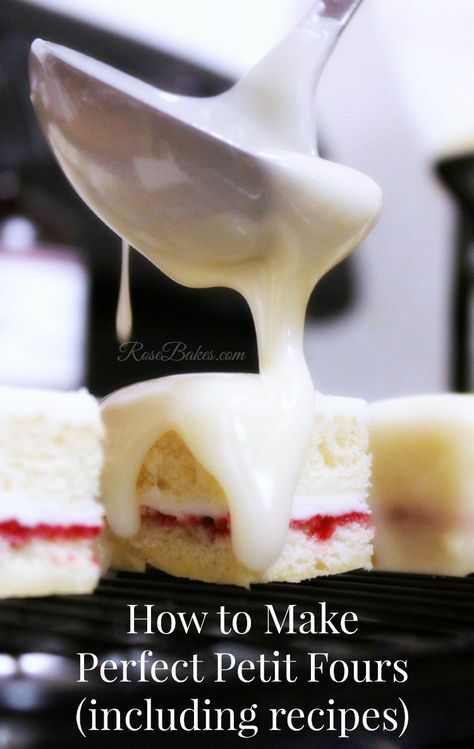 I didn’t love the recipe I was using, the icing was a nightmare and my method for cutting and covering them was a mess. Cream together the sugar, butter and shortening until smooth then beat in vanilla. Add eggs, one at a time, until fluffy. In a separate bowl, sift together the dry ingredients (flour, baking powder, and salt). Add this flour mixture and the evaporated milk to the original mixture alternately. Beat for 2 minutes on medium speed, then fold in the sour cream. Spread onto a parchment lined half sheet pan. Bake at 325°F until a toothpick inserted in the middle comes out clean (25-35 minutes – but check at 25 minutes!). 0 Response to "SIMPLE BUTTER CAKE FOR PETIT FOURS"